"When I Get Where I'm Going" by Brad Paisley with Dolly has apparently reached the platinum level for digital singles. Billboard magazine has added the digital platinum distinction to its listing in the publication's charts, indicating that the award has been certified as both gold and platinum by the Recording Industry Association of America (RIAA), which is responsible for bestowing such honors in the U.S. A gold digital single results from 100,000 paid legal downloads of a song, while platinum follows 200,000. The new addition of the symbol suggests certification came in the past couple of weeks, although the exact date is uncertain (the RIAA has not updated its award listings in its public database online for nearly two months, so anything awarded in that time has yet to show up on its website). Paisley's CD which contains the track, Time Well Wasted, had already been certified platinum for more than 1 million copies sold while the duet with Dolly was in the top 10 and just before it hit No. 1. This marks Dolly's first gold single award and first platinum single award for digital downloads. In the U.S., she holds 25 other gold and platinum awards from the RIAA: 14 gold, six platinum and one double-platinum albums plus three gold and one platinum singles (although those were awarded prior to the RIAA lowering the sales levels for each award, so technically they may be upgraded to three platinum and one double-platinum singles if RCA ever pays to have new plaques created). In contrast to the digital figures of 100,000 for gold and 200,000 for platinum, regular sales singles require 500,000 for gold and 1 million for platinum (down from 1 million for gold and 2 million for platinum prior to 1989). Before "Going," her most recent RIAA honor was gold certification for Trio II passing the half-million mark five years ago. Another set of folks are recognizing Dolly for her positive impact on children through her Imagination Library literacy program. Newsweek announced this week its selections for its first-annual Giving Back Awards, naming the "15 People Who Make America Great." Although Dolly didn't make the final 15, she did earn one of a handful of honorable mentions in the July 10 issue. The awards were divided up among several categories, including one for "Celebrity." The main honor for that division was taken by Brad Pitt for his efforts to call attention to the problems facing Africa (read his profile online here), but given honorable mentions in the category were Dolly for her program, Andre Agassi for his school for at-risk kids, Tyra Banks for her summer camp and grant-making foundation for low-income girls and George Clooney for his Darfur awareness campaign. About Dolly's efforts, the publication noted: "Her program gave about 2 million books last year to 215,000 kids under 5 nationwide." Thanks, Amanda! In what has to be the most unique Dolly-related item I've read this year, The New York Daily News on Thursday reviewed the Big Apple's best restrooms, and you can do your business while you enjoy some Dolly! The toilets at the restaurant VYNL on Ninth Avenue at 51st Street made the list for its four musically-themed WCs. You get to choose from one honoring Elvis, one for Cher, one for Nelly and one for Dolly. In addition to a ceramic tile mosaic of the artist, his or her music is piped in while you take care of nature's call. See the full list here. Although they're collecting some precious metal for the tune, "When I Get Where I'm Going" by Brad Paisley and Dolly continues to slip on the charts following a long run, Billboard showed on Thursday. While the song had gained a little the previous week on the all-genre Hot 100 recurrent airplay pop chart, it falls again this week, down three to No. 21 on the July 8 tally which tracks radio popularity of songs that have been removed from the main singles lists due to chart longevity rules. As was previously reported, the song remains steady at No. 6 on the country recurrent singles chart. Paisley's Time Well Wasted, featuring the song, inches down one to No. 14 country and 13 spots to No. 64 pop and comprehensive in its 45th week, also dipping six to No. 32 Canadian country. Martina McBride's Timeless, with Dolly on "I Still Miss Someone," rises three to No. 43 country in its 35th chart week but falls out of the Canadian country top 50, down from No. 41 the previous week. Kenny Rogers's 21 Number Ones, which includes "Islands In The Stream," falls four No. 32 country in its 22nd week, tumbling 42 to No. 168 pop and 48 to No. 187 comprehensive. Rhonda Vincent's All American Bluegrass Girl, with Dolly on its first single, "Heartbreaker's Alibi," regains one to No. 3 bluegrass and No. 68 country in its fourth week, while her Ragin' Live, featuring a cover of "Jolene," re-enters the 15-position bluegrass list at No. 15 in its 67th week on the chart. The Dixie Chicks hold on to the No. 1 country spot but lose one No. 3 pop with Taking The Long Way selling 87,000 copies in its fifth week, while Rascal Flatts' Me And My Gang remains at to No. 2 country but falls three to No. 11 pop in its 11th chart week. Billboard Online also on Thursday updated the status of "king of rock and soul" Solomon Burke's upcoming country duets album, announcing that the CD's title will be Nashville. As was previously reported here, Dolly has recorded a new cover of her Porter Wagoner duet "Tomorrow Is Forever" with the legendary performer for the Sept. 26 release. Read more here. Don't forget on Friday to check out the final of the five installments of the video back story for the Mystery Mine, the major addition to Dollywood next year. The park's website has featured a new episode in the tale each week leading up to the ride's formal announcement on July 7. Watch it here! Ever wonder what goes into a performance at Dollywood? Well, the Knoxville News-Sentinel on Tuesday profiled the performers at the park's new "Dreamland Drive-In" musical show. Take a read here. Dolly's Dixie Stampede dinner theatre got a smashing good review from a reporter at Arkansas' Batesville Daily Guard who took a recent family vacation to Branson, Mo., and stopped off at the chain's venue in that city. She described the show and food with one simple word, "WOW," then added several other words about how wonderful the experience was. Read her column here. I'm told for Great American Country (GAC) viewers to keep an eye out for Dolly in an interview on its Country Across America program which will premiere at 9 p.m. Eastern Thursday and repeat throughout the next two weeks. Also, for those who missed last Thursday's Access Hollywood broadcast on Dolly at KidsFest at Dollywood, I'm told the syndicated program will repeat the segment on its July 4th episode. Thanks! "When I Get Where I'm Going" by Brad Paisley and Dolly will remain steady at No. 6 on the July 8 recurrent country singles charts, the magazine announced Monday. The song brought in 11.1 million listeners for the week as gauged on the list tracking the popularity of songs that have been removed from the main singles charts due to longevity restrictions. Were the two charts combined, the tune would have come in at No. 30, compared to the equivalent of No. 28 the previous week. Dolly will serve up the final track on a four-CD, 81-song boxed set honoring the 25th anniversary of Sugar Hill Records, the label has announced. Titled Sugar Hill: A Retrospective, the collection will hit stores Sept. 12. 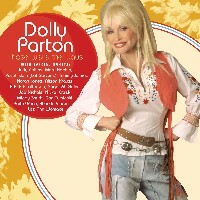 Dolly's contribution is the Lester Flatt classic "I'm Gonna Sleep With One Eye Open," which she recorded for her first album on the indie powerhouse, 1999's The Grass Is Blue. In an extensive liner note booklet, label founder Barry Poss discusses each song in the set, and about Dolly's track he explains how she came to be brought to the label and what joy she brought to the recording studio on that first project. He concludes the notes by saying: "For more than a quarter century, Sugar Hill has fostered roots-based contemporary music by a select roster of prestige artists. This, too, is the domain of Dolly Parton. I could not ask for a more satisfying way to mark the end of one glorious period in the label's history, and the beginning of the next." Longtime Dolly pal Dottie Rambo on Monday announced a new contest on her website to celebrate the upcoming release of her manager's book, Driving Ms. Dottie. Everyone who pre-orders the book on her site prior to its Aug. 5 release will be entered to win an autographed Dottie Rambo Kentuckian acoustic guitar. The book by Larry Ferguson is slated to feature several stories about Dottie over the years, including some with her friend Dolly, who also wrote an endorsement for the book cover: "I am very honored to be included in his book, Driving Ms. Dottie. (I, too, love Ms. Dottie!). Larry has done a wonderful job, and I'm sure you readers will enjoy it." Others featured in it include Dottie's friends Lily Tomlin, Tammy Faye, Stella Parton, Vince Gill, Amy Grant and more. Website orders will also provide a commemorative keychain and photo as bonus items. Dottie and Dolly teamed up for a duet on the title track to Dottie's CD Stand By The River in 2003. Learn more about the book on Dottie's site here. Thanks to reader Chris Goff for sending in some photos of Dolly from the Dollywood KidsFest opening earlier this month, including the shot at left. They've been posted to that section of the site here. (If anyone else has images they'd like to share, please e-mail them here.) Also new is the transcription from her appearance at the Imagination Playhouse event. Enjoy! Thanks! The Jordanaires, the gospel group which became Elvis Presley's background singers and performed with Dolly on "Save The Last Dance For Me" more than two decades ago, have reportedly recorded a song in her honor. The Tennessean over the weekend reported on minister and songwriter Olan Bassham's new CD with the legendary quartet, Take God's Hand, which is raising funds for the Churches of Christ Disaster Relief Effort, and the article noted that Bassham and the Jordainares in the past couple of weeks have recorded a tribute song devoted to Johnny Cash and one devoted to Dolly. Read the story here. Another critic loves Rhonda Vincent's All American Bluegrass Girl. The Philadelphia Inquirer over the weekend gave the disc three stars here, singling out Dolly's track as a stand-out, noting: "With her band, the Rage, as the core group, Vincent leads terrific, fleet-fingered workouts like 'Heartbreaker's Alibi.'" The next shots from last weekend's KidsFest opening at Dollywood are now available in that section of the site here, including the picture at left by Patric Parkey. Thanks! Look for more reader-submitted images and likely the transcript from her Imagination Playhouse appearance in Monday's update (to be posted Sunday night)! In other coverage, the KidsFest opening made Thursday's Access Hollywood, which featured a sit-down interview with Dolly and footage from her three appearances last Friday plus a little from a private function she had for the Imagination Library. If you missed it, the segment is available online here. "When I Get Where I'm Going" by Brad Paisley and Dolly slides another eight spaces to No. 14 this week on the fan-voted Great American Country (GAC) Top 20 Countdown, the cable channel announced Friday. The video had previously peaked at No. 1 for two weeks. You may vote for it, and other selections, for next week's chart here! In other chart news, the song debuts at No. 19 on the top 20 country airplay singles tally in Malta this week, the European CMA revealed Friday, while the title track to Dolly's Those Were The Days debuts on the same chart in Italy at No. 17. TV's Insider may be repeating a Dolly interview from a few months back this week. The series on Friday re-posted online with Friday's date a story, photos and video taken from the interview with correspondent Kathy Lee Gifford, suggesting it either just has or is about to re-air the segment which was originally broadcast on the program about six months ago. Read it here. After a reader raised concerns that some autographed Dolly items on eBay with certificates of authenticity offered may be possible forgeries, Dolly's staff asked that I pass along a reminder that regardless of whether autographs offered for sale or auction may or may not be authentic, neither she nor her management ever issues a letter of authenticity of certificate of authenticity when she signs anything. Consequently, any such letter or certificate is being offered by the seller of an item, with he or she vouching for its authenticity, not Dolly or her management. Thanks! The second set of galleries by Dollymania assistant photographer Harrell Gabehart taken at last weekend's Dollywood's KidsFest celebration have been posted in that section of the site here, including the larger version of his shot at left. And there's still more to come! Thanks! In addition, Sevier County's Smoky Mountain Herald on Thursday posted online its story from Monday's paper covering the festivities. Read it here. After just two weeks on the chart, the DVD release of the film TransAmerica, which features Dolly's Oscar-nominated track "Travelin' Thru" at the end of the film as well as the song's video and a behind-the-scenes featurette on the tune, falls out of the DVD sales chart, Billboard announced Thursday in the July 1 numbers. The disc had debuted at No. 8 but fell to No. 36 in its second week of release before dropping off the 40-position chart. Dolly's award-winning collaboration with Brad Paisley, "When I Get Where I'm Going," gains three to No. 18 for the all-genre Hot 100 recurrent airplay pop chart, which measures radio popularity of songs that have been removed from the main lists under chart rules limiting a single's longevity. As was previously reported here, the song slips one to No. 6 on the country recurrent tally. The CD which contains the tune, Paisley's Time Well Wasted, rises two to No. 13 country and a dozen digits to No. 51 pop and comprehensive in its 44th week, sliding four to No. 26 Canadian country. Martina McBride's Timeless, featuring her collaboration with Dolly on "I Still Miss Someone," loses another six to No. 46 country in its 34th chart week, dipping nine to No. 41 Canadian country. Kenny Rogers's 21 Number Ones, with "Islands In The Stream," remains steady at No. 28 country in its 21st week, but rises 21 places to No. 126 pop and 19 spots to No. 139 comprehensive. Rhonda Vincent's All American Bluegrass Girl, featuring the Dolly duet "Heartbreaker's Alibi," drops two to No. 4 bluegrass in its third week, also falling 13 to No. 69 country. Her Ragin' Live, with her version of "Jolene," falls off the 15-position bluegrass list, down from No. 13 in its previous week, which was its 65th on the chart. The Dixie Chicks hold on to No. 1 country spot and remain steady at No. 2 pop with Taking The Long Way moving 130,000 copies in its fourth week, while Rascal Flatts' Me And My Gang remains at to No. 2 country and No. 8 pop in its 10th chart week, selling 73,000 units. A family member asked me to pass along a prayer request for Dolly's Aunt Dorothy Jo, as I'm told she has been quite ill recently. Dorothy Jo, who has worked under the names Dorothy Jo Hope and Dorothy Jo Owens, is her late mother's sister, a longtime minister and a songwriter who has composed several tunes recorded by Dolly over the years. The first galleries of images by Dollymania assistant photographer Harrell Gabehart from Dollywood's KidsFest events are now available in that section of the site here, including the larger version of his shot at left. As has been noted before, keep your eyes peeled for even more pictures over the next several days! Thanks! In addition, Sevier County's The Mountain Press on Wednesday posted online its stories from the weekend covering the festivities. Read its interview with Dolly here, story on the KidsFest opening here and an editorial here lauding Dolly's return to her hometown. The next group of galleries from the Dollywood KidsFest kick-off are now available in that section of the site here. In addition to shots from her media event from Friday morning, the complete transcript of that appearance has also been posted. Look in coming days for even more images in addition to a transcript from her Imagination Playhouse appearance as well! Image at left is copyright � 2006 Duane Gordon/Dollymania.net. May not be reproduced without prior written consent. The next set of galleries from Dolly's annual KidsFest visit at Dollywood have been added to that section of the site, specifically shots from her parade and her Imagination Playhouse appearance, including the one seen at left. Look for more images from her media appearance and transcripts of her remarks in coming days, followed by shots from assistant photographer Harrell Gabehart and some reader-submitted pics as well (if you have some you want to send in, please do so by e-mailing them here). Visit that section of the site here to see the new shots! Also, the story from her appearances which was posted Sunday night has been updated to include the names of all of her scholarship recipients for this year. The park on Monday issued a press release on the kick-off, complete with a photo of Dolly in the cage from her media appearance. Take a look here courtesy Business Wire via Yahoo. Image at left is copyright � 2006 Duane Gordon/Dollymania.net. May not be reproduced without prior written consent. Although I don't have official confirmation, a source (who has been right when he's alerted me to all other overseas developments on the project thus far) has informed me that EMI Records is now pushing Dolly's cover of "Both Sides Now" to radio as the next European single from the U.K. release of her CD Those Were The Days. The label, which put out the disc across the pond in February, had previously issued a double-single of "Imagine" paired with "Where Do The Children Play," although neither side charted. Thanks! The former No. 1 "When I Get Where I'm Going" by Brad Paisley with Dolly continues a slow slide on the Billboard country recurrent singles chart, the magazine announced Monday in its July 1 numbers. The song dips one to No. 6 on the tally of airplay tracking for songs that have been removed from the main singles list under chart rules. The tune lost about 400,000 listeners for the week to take in a total audience of 11.8 million. Were the recurrent and main singles charts combined, it would have come in at No. 28, compared to the equivalent of No. 25 the previous week. Overseas, the collaboration fell back out of this week's top 20 country airplay chart in Spain, down from No. 16 last week, the European CMA announced over the weekend. Dolly fans around the world are asked to keep one of their own in their thoughts and prayers as he faces a difficult time. Many in the fan community have been aware that Mark Burgess, who formerly ran the Dolly.net fan site, one of the first Dolly sites on the Internet, has been quite ill over the past couple of years, and those who follow Dolly fan blog Confessions of a Dolly Junkie know that he has been hospitalized for some time now but keeps beating the doctors' predictions of how long he has to live. A mutual friend has set up a post office box so those who have met him or who used to visit his website may send their words of encouragement. Cards and letters may be mailed to his attention care of 330 Franklin Road, Suite 135 A, Box 225, Brentwood, TN 37027-5237. Thanks, Mel! Dolly certainly made an impression on the crowd at Dollywood Friday, giving what was perhaps her most spectacular entrance in the park's history. She was there to kick off the fourth annual KidsFest activities, give out a few honors and have a good time. Check out your Dollymania report from the events in that section of the site here! Dolly also did a number of interviews with the local press, including sit-downs with The Mountain Press (although their story was not available online as of Sunday evening) and Knoxville television stations WVLT and WBIR. With WVLT, which you may watch by visiting its site here and clicking on "one-on-one with Dolly Parton," she discussed the Imagination Library, KidsFest and her new cookbook. On WBIR's Live at Five program, she talked about KidsFest, her Oscar nomination this year and the station's celebrating its 50th anniversary (to which she noted she was on the station's Cas Walker Show at the age of 10 the first year the channel went on the air). Watch that sit-down here (click on "Click here to watch this video"). I understand a crew from Access Hollywood was also on the park grounds covering the festivities, so I assume they will broadcast a story soon as well. Look for more Dollymania galleries and transcripts here in coming days! Image at left is copyright � 2006 Duane Gordon/Dollymania.net. May not be reproduced without prior written consent. CMT has announced that Dolly will be the subject of its next new installment of its documentary-style series Greatest Moments. The Dolly episode, for which I understand she recorded a new interview, will premiere on the cable network at 8 p.m. Eastern July 7. Click here for more information. Its two Oscar nominations (including one for Dolly) likely gave the DVD release of TransAmerica, with Dolly's music video for "Travelin' Thru" and a behind-the-scenes featurette on the song, impressive first-week sales but weren't enough to sustain it for a longer run, the June 24 Billboard charts released Thursday showed. The disc tumbled 28 points to No. 36 in its second week for nationwide DVD sales. Elsewhere on the charts, the former Dolly and Brad Paisley No. 1 "When I Get Where I'm Going" inches down one to No. 21 on the all-genre Hot 100 recurrent airplay pop chart tracking radio broadcasts of songs that have been removed from the main singles list under chart rules. As was previously reported, the duo remains steady at No. 5 for country recurrent singles. The tune's video slides four spots to No. 6 on the weekly fan-voted Great American Country Top 20 Countdown, it was revealed Friday, also showing that Paisley's video for "The World" slipped from three weeks at No. 1 down to No. 2. (Vote for your favorites for this week's show here!) The disc featuring the song, Paisley's Time Well Wasted, dips one to No. 15 country and nine to No. 63 pop and comprehensive in its 43rd week, remaining steady at No. 22 Canadian country. Martina McBride's Timeless, with Dolly joining her for "I Still Miss Someone," falls four to No. 40 country in its 33rd chart week, falling out of the top 200 pop, down from No. 178 the previous week, and losing three to No. 32 Canadian country. Kenny Rogers's 21 Number Ones, featuring "Islands In The Stream," slides one to No. 28 country in its 20th week, dropping one to No. 147 pop but gaining one to No. 158 comprehensive. Rhonda Vincent's All American Bluegrass Girl, with Dolly on "Heartbreaker's Alibi," falls one to No. 2 bluegrass after holding that chart's top spot for its first two weeks. The disc loses one to No. 56 country. Her Ragin' Live, which features her cover of "Jolene," also dips one to No. 13 in its 65th week on the bluegrass list, which also sees The Grascals fall off the 15-position tally, down from No. 15 the previous week with their self-titled collection, The Grascals, featuring Dolly on "Viva Las Vegas." The Dixie Chicks hold on to No. 1 country spot for a third week but lose pop's top position to fall to No. 2 with Taking The Long Way selling 175,000 copies in its third week, as Rascal Flatts' Me And My Gang remains at to No. 2 country and falls four to No. 8 pop in its ninth chart week, moving 65,000 copies. The Dolly fan documentary For The Love Of Dolly had its next two screenings in recent days, having been shown Thursday at the Provincetown International Film Festival in Massachusetts and Saturday at Frameline festival in San Francisco. The only other announced showings of the film are at 5 p.m. on Saturday, July 8, and Wednesday, July 12, in the Village Theater in Los Angeles as part of Outfest. San Francisco's Bay Area Reporter last week gave the project a mixed review, calling it "absorbing if disturbing." Read more here. Dolly was the Second Harvest Food Bank of Middle Tennessee's big ticket item in an eBay auction to benefit the Nashville charity which ended Wednesday night. After more than a week of bids, a lunchbox designed and autographed by Dolly went for $760, the most paid for any of the celebrity items offered. The next-biggest item was one by Trisha Yearwood, which topped out at $710. Most boxes went for less than $100 (for example, Charlie Daniels at $66, Teri Clark at $76, Charlie Pride at $93). Those closer to Dolly's level included Brad Paisley at $510, Big & Rich at $202, Carrie Underwood at $455, Trace Adkins at $510, Kenny Chesney at $405 and Vince Gill at $305. The auction of more than 40 decorated and signed boxes brought in more than $6,000 for the charity, about an eighth of which came from Dolly's lunchbox alone. Special thank yous go out to Michele and Sarah, who have taken on the responsibility of moderating the Dollymania Forum message boards here. As anyone who visited the boards until recently knows, SPAMMERS would go in and post advertisements for things I don't think most Dolly fans would have wanted to see. I tried to go in about once every week or two and clean those out and delete them, but they kept coming back and I just didn't have time to do it every day. Now, thanks to these two volunteers, we shouldn't have to worry about that anymore! Dolly's media appearance to kick off Dollywood's KidsFest on Friday will be open to fans, although very few spots will be available, it has been learned. The event, scheduled for 11 a.m. Friday at D.P. 's Celebrity Theatre during the "Big Cats & Magic Show" with the Fercos Brothers, will be open to the public, but "seating will be very limited," a park spokesperson confirmed to Dollymania Tuesday. Apparently, the set-up will be similar to the park's 20th anniversary opening event in the theatre last year, where an area was set aside for the press, the majority of seats were used by invited guests and the remaining area was opened to the general public, who lined up well before the event started. Dolly will also have a "late afternoon event" for the public on the park grounds as well, it was noted, which I suspect will be her customary parade though the park. Thanks! Image at left of Dolly from last year's KidsFest is copyright � 2005 Duane Gordon/Dollymania.net. May not be reproduced without prior written consent. Access coverage from 2005 here! Brad Paisley had another stellar weekend on Great American Country (GAC), retaining the top two spots on the cable network's weekly fan-voted Top 20 Countdown (which premiered Friday, although the chart was not posted on the GAC website until Tuesday). His current single, "The World," held on at No. 1 for a third week, while the video for "When I Get Where I'm Going," his collaboration with Dolly which itself topped the GAC tally for two weeks earlier this year, remained at No. 2 in its 22nd chart week. Vote for your favorites for this Friday's show here! Don't forget that the charity auction on eBay for a Dolly-designed and autographed custom lunchbox to benefit Second Harvest Food Bank of Middle Tennessee concludes at about 9 p.m. Eastern Wednesday. As of Tuesday evening, the bidding had reached $610. Place your bid here! And see other celebrity lunchboxes in the auction here. Wonder what celebrity reporter Jancee Dunn did with the chunk of Velveeta Dolly gave her after an interview? Well, she put it in her freezer, where she keeps it as a souvenir, according to a note in USA Today this week, which continues the promotions for Dunn's memoir, But Enough About Me, where she tells tales of her favorite and most unique star encounters, including her Dolly interview. Read more here. Dolly and Brad Paisley will hold on at No. 5 in the June 24 Billboard country recurrent singles chart, the magazine revealed Monday on the tally tracking radio airplay of songs that have been removed from the main singles list due to chart rules. The collaboration lost about 1 million listeners for the week for a total of 12.2 million, which would have ranked them at No. 25 on the main country singles chart were the two combined, compared to the equivalent of No. 23 the previous week. Across the pond, the song re-entered the top 20 country airplay chart in Spain, the European CMA announced over the weekend, coming in at No. 16 for the week. Apparently about 40 potential audience members were turned away Sunday at the NewFest Film Festival in New York from a sold-out showing there of the Dolly fan documentary For The Love Of Dolly. I'm told those who made it in thoroughly enjoyed the screening, with the audience heard laughing -- and crying -- throughout. However, at least one of those who didn't get in complained that festival organizers seemed disorganized and confused, apparently not anticipating the sell-out crowd and not publicizing enough the ability to buy advance tickets. The film next moves on to a 2 p.m. showing Thursday at the Provincetown International Film Festival in Massachusetts and a 5:30 p.m. screening Saturday at Frameline in the Victoria Theatre in San Francisco. Thanks! Another critic loves Dolly and Rhonda Vincent together. The Bangor Daily News in Bangor, Maine, singles out the two's performance on "Heartbreaker's Alibi" from Vincent's new disc, All American Bluegrass Girl, as one of the album's "highlights" in a positive review. Read the full review here. Wonder how a town celebrates the one-year anniversary of Dolly's Imagination Library national literacy program coming to their community? Well, The Rogersville Review in Rogersville, Tenn., tells you how Hawkins County marked the occasion here. Turns out the official Dolly site reported and linked here on the news page in the Friday night/Saturday morning update was a test site which was removed from the Web on Sunday, a spokesperson for Dolly notified Dollymania over the weekend. While an official site for her is being developed, it is still under construction and will be unveiled at a later date, I'm told. I sincerely apologize for the error and have removed the original report as well as the links to the site that had been added to the links page and Frequently Asked Questions page. As always, whenever a mistake is brought to my attention, it will be happily corrected as soon as possible. The Bluegrass Blog reported Friday that the new video for "Heartbreaker's Alibi" by Rhonda Vincent and Dolly is in post-production and should hit the airwaves soon. In the story here, it is noted that the shoot was directed by Trey Fanjoy (who was nominated for ACM Awards this year for Lee Ann Womack's "I May Hate Myself In The Morning" and Miranda Lambert's "Kerosene"). You may recall it reported here about a month ago that the song would be the first single from Vincent's new All American Bluegrass Girl CD and that Dolly had committed to taping the video with her. The Knoxville News-Sentinel on Friday previewed the upcoming fourth annual KidsFest at Dollywood. The paper spoke here with Fercos Brothers, Tony and Ferdinand, about their magic show with a lion and three tigers. The festival, which Dolly will be on hand to kick-off next Friday, June 16, will also feature the world premiere of the new VeggieTales movie, Larry Boy and the Bad Apple (starting July 1) as well as a showing of their Sheerluck Holmes and the Golden Ruler (June 16-30) and the return of several of last year's favorites: the Clifford the Big Red Dog stage show, Penguin Group USA presents Dolly's Imagination Playhouse (a live musical presentation of three of the books from Dolly's Imagination Library literacy program) and the Jest In Time circus featuring Topper Todd, LiLi Zucchini and the Jack Russell terrier Ticker. KidsFest will run through Aug. 6. Look for complete coverage of the opening weekend immediately thereafter on Dollymania! In other Dollywood news, the second installment of the promo video on next year's addition, the Mystery Mine ride, was posted on the park's web site Friday. Take a look here! 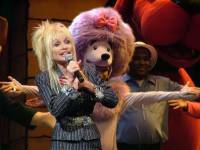 Image at left of Dolly from last year's KidsFest is copyright � 2005 Duane Gordon/Dollymania.net. May not be reproduced without prior written consent. See coverage from 2005 here! America's modern master of horror, Stephen King, has made a $10,000 gift to support Dolly's Imagination Library literacy program's chapter in York County, Maine, The York County Coast Star reports here. In related news, the local community foundation's fund to support the program's Rush County, Ind., chapter is profiled in The Rushville Republican this week here. The DVD release of the film TransAmerica, featuring the music video for Dolly's Oscar-nominated song "Travelin' Thru" as well as a behind-the-scenes featurette on how she came to write and record the tune, debuts fairly high on the charts for its first week of sales, Billboard announced Thursday. The disc comes in at No. 8 for nationwide sales on the June 17 DVD chart. Elsewhere on the charts, "When I Get Where I'm Going" by Brad Paisley and Dolly slips one to No. 20 for the all-genre Hot 100 recurrent airplay pop chart tracking radio popularity for songs that have been removed from the main singles tally under chart rules. As was previously reported, the collaboration also slides one to No. 5 for country recurrent singles. The disc which contains the award-winning track, Paisley's Time Well Wasted, also loses two to No. 14 country and six spots to No. 54 pop and comprehensive in its 42nd week, falling three to No. 22 Canadian country. Martina McBride's Timeless, featuring Dolly on "I Still Miss Someone," dips seven digits to No. 36 country in its 32nd chart week, falling 26 places to No. 178 pop and dropping out of the top 200 comprehensive, down from No. 169 the previous week. It shoots up nine slots to No. 29 Canadian country. Kenny Rogers's 21 Number Ones, including "Islands In The Stream," inches up one to No. 27 country in its 19th week, falling three to No. 146 pop and No. 159 comprehensive. Rhonda Vincent's All American Bluegrass Girl, featuring Dolly on "Heartbreaker's Alibi," holds onto the top spot on the bluegrass albums chart for a second week, dropping a dozen digits to No. 55 country. Her live collection, Ragin' Live, including a cover of "Jolene," inches down one to No. 12 in its 64th week on the bluegrass list, while The Grascals lose nine to No. 15 on the 15-position chart with their disc The Grascals, with Dolly on "Viva Las Vegas," marking its 24th chart week. The Dixie Chicks hold on to No. 1 country and pop with Taking The Long Way moving 271,000 units in its second week, as Rascal Flatts' Me And My Gang remains at to No. 2 country and moves up two to No. 4 pop in its eighth chart week, selling 79,000 copies. Dolly fan documentary For The Love Of Dolly heads to the Big Apple this weekend, and the screening dates for its Los Angeles engagement next month have been revealed, its director has announced. The film, which has been shown to positive reviews at film festivals in Nashville, Miami and Dallas, will screen at 6 p.m. Sunday in New York's NewFest at AMC Lowes 34th Street Theater 6. Film director Tai Uhlmann says fans are invited to an after-party at Hell's Kitchen immediately following the screening. Then it shows next Thursday, June 15, at 2 p.m. in the Provincetown International Film Festival in Massachusetts and 5:30 p.m. the following Saturday, June 17, at Frameline in the Victoria Theatre in San Francisco (with an after-party at The Eagle). Finally, the showings for Outfest in Los Angeles have been announced, and the film will be seen twice there: at 5 p.m. on both Saturday, July 8, and Wednesday, July 12, both times in the Village Theater. The Seattle Times this week continues the publicity around Rolling Stone interviewer Jancee Dunn's new book, But Enough About Me, with some recollections about various stars from the publication, including a note about Dolly and a certain processed cheese product. Read it here. Dollywood this week announced the addition of Kid Concoctions authors John and Danita Thomas to the opening weekend of KidsFest. The two will appear at the park June 16-18 with their books' characters, Goo and Gunk, at the Valley Exhibition Hall. Read more here. Paste magazine on Tuesday posted a great little Dolly interview, focusing mostly on the diversity of her fan base and her acceptance of all people as exemplified in her Oscar-nominated tune, "Travelin' Thru" from Transamerica. In the profile, she notes about intolerance: "I know that we all belong to God. I just don't understand why people can't let people be themselves� whatever that is." Take a read here! Always one to lend a helping hand to those in need, Dolly has again volunteered her support of a worthy cause. She has designed and autographed a lunchbox for Second Harvest Food Bank of Middle Tennessee, a non-profit organization in the Nashville area which collects and distributes food to more than 500 area charities serving the needs of the community. View her lunchbox and place a bid for it on eBay here. The auction ends at about 9 p.m. Eastern next Wednesday, June 14, and at the time of this posting, bidding was at $53. Check out additional lunchboxes for the charity here from stars including Big & Rich, Kenny Chesney, Martina McBride, Vince Gill and more. Thanks, Sheldon! The park's 2006 season just opened a few weeks ago, and Dollywood is already plugging next year's addition, the themed Mystery Mine ride which, as has previously been reported, is expected to feature a 121-foot interior drop down what appears to be an abandoned mine shaft. A new section of the park's website has debuted here featuring a teaser promo video for the ride, with its next addition expected on Friday. The new ride will be constructed throughout the 2006 season and open in April 2007. 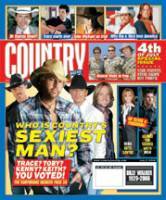 Dolly shows up a few places in the new issue of Country Weekly magazine out this week. A publicity shot appears on the cover with several other artists for a cover story on songs of faith in country music. She is mentioned a couple of times for her Brad Paisley collaboration on "When I Get Where I'm Going" in the accompanying story by former Dolly biographer Alanna Nash, including another photo. She is also mentioned in the magazine's coverage of the recent Academy of Country Music Awards, noting that two of Paisley's three wins for the night were shared with Dolly for their No. 1 duet. Meanwhile, the song continues to hold on pretty well at radio. For the June 17 charts announced Monday by Billboard magazine, "When I Get Where I'm Going" by Dolly and Brad Paisley inches down one to No. 5 on the country recurrent tally, the tracking of radio airplay of songs that have been removed from the main singles list under chart rules. For the week, the song lost about 500,000 listeners for a total of 13.2 million, which would have placed it at No. 23 were the chart combined with the regular country singles list, compared to the same equivalent position the previous week. Critics continue to give high marks to Rhonda Vincent's new collection, All American Bluegrass Girl, especially its track featuring Dolly harmonies, "Heartbreaker's Alibi." The Providence Journal up in Rhode Island over the weekend re-printed an Owensboro (Ky.) Messenger-Inquirer review of the disc here which praises the project, noting the Dolly collaboration is "a hard-charging song about a woman who has caught her man cheating." And The Toledo Blade in Ohio also opines highly on the album, again singling out "Alibi" as "a fine duet." Read the review here. Jancee Dunn, the Rolling Stone reporter who discusses in her new book, But Enough About Me, interviewing Dolly for the magazine, lists Dolly among her two "dream interviews" in a Newsweek profile. Asked who would be her dream interview, she responds first with Prince, explaining: "I am a big fan of eccentric people, and I would give anything to go and interview Prince in his little purple palace in Minneapolis. I want to see that. I want to worm my way into that house and see exactly what's going on in there. That's why I was so glad to do Dolly Parton, because who is going to succeed Dolly Parton? Who will be the next Dolly Parton? Anyone? Done." Read the full piece here. It's a Paisley paradise on Great American Country (GAC), as the network's weekly Top 20 Countdown finds the singer occupying its top two spots. His new video, "The World," holds on to No. 1 for a second week, while former two-week No. 1 collaboration with Dolly, "When I Get Where I'm Going," gains one to sit at No. 2 in its 20th week on the list. Vote for your favorites on the fan-selected countdown for next week here! Bluegrass queen Rhonda Vincent talks with CMT.com this week about her new CD, All American Bluegrass Girl, which features Dolly on "Heartbreaker's Alibi," also telling how the two singers came to meet and become close friends. Read the interview here! Carl & Pearl Butler -"If We Ever Meet Again"
Dan Hill - "Sometimes When We Touch"
The Hollies - "The Air That I Breathe"
Dolly Parton - "He's Alive"
Dionne Warwick - "A Message To Michael"
Coverage of Dolly's Imagination Library literacy program reaching statewide status in Tennessee continued Friday. Read a piece from The Tennessean here. Dolly is apparently mentioned in a new book titled But Enough About Me by Rolling Stone interviewer Jancee Dunn. The humorous memoir of her times at the music magazine is said to include stories of some of her most memorable interviews, including one where she peeks her head into Dolly's refrigerator to find Velveeta. Order your copy here! "When I Get Where I'm Going" by Dolly and Brad Paisley remains steady once more on the June 10 Billboard recurrent charts for songs that have been removed from the main singles lists due to chart rules, the magazine announced Thursday. The song stays at No. 19 for the all-genre Hot 100 pop recurrent singles tally, but, as was previously reported here, slips one to No. 4 country recurrent. Paisley's Time Well Wasted, including the song, also holds on at No. 12 country and shoots up 25 places to No. 48 pop and comprehensive in its 41st week, also gaining seven to No. 19 Canadian country. Martina McBride's Timeless, with Dolly on "I Still Miss Someone," moves up seven to No. 29 country in its 31st chart week and re-enters top 200 pop and comprehensive charts at No. 152 and No. 169, respectively. It regains 28 digits to No. 38 Canadian country. Kenny Rogers's 21 Number Ones, with "Islands In The Stream," dips three to No. 28 country in its 18th week, falling 17 to No. 143 pop and 25 to No. 156 comprehensive. Rhonda Vincent reigns on the bluegrass albums tally, seeing her All American Bluegrass Girl, with Dolly harmony on "Heartbreaker's Alibi," debut at No. 1 on that chart and No. 43 country. Her concert album, Ragin' Live, with her version of "Jolene," slips two to No. 11 in its 63rd week on the bluegrass list, which also sees The Grascals re-enter the top 15 with The Grascals, featuring Dolly on "Viva Las Vegas," finding its way to No. 6 in its 23rd chart week. On first-week sales of 526,000 copies, The Dixie Chicks see their new set, Taking The Long Way, debut at No. 1 on both the country and pop charts, knocking Rascal Flatts to No. 2 after seven weeks at No. 1 country; with 85,000 units moved in its eighth week, Flatts' Me And My Gang remains steady at No. 6 pop. Officials in Tennessee celebrated Thursday becoming the first to take Dolly's national Imagination Library literacy program statewide with the official kick-off in Sumner County. The program, active in about 600 communities across 42 states, provides one free, age-appropriate, hardcover book per month to every child from birth to age 5 whose parents sign up in a participating community. Read a brief on Tennessee's milestone here. Music experts at Paste magazine named Dolly among the world's "100 Best Living Songwriters," the publication announced this week. The June/July issue of the magazine will include the full list, the top three from which are Bob Dylan, Neil Young and Bruce Springsteen. A total of 50 journalists and musicians were asked to vote for the composers whose work meant the most to them personally, regardless of the writer's commercial success or cultural impact. In the end, Dolly ranked No. 55, one of just a handful of country artists to make the cut, with pals Willie Nelson at No. 15, Kris Kristofferson at No. 38, Loretta Lynn at No. 42, Merle Haggard at No. 69, and Lyle Lovett at No. 87. A few alt-country artists were on the list as well (Steve Earle at No. 35, Ryan Adams at No. 43, Gillian Welch and David Rawlings at No. 48, Lucinda Williams at No. 22). Those judged within a few spots of Dolly herself included one of her all-time favorite writers, Cat Stevens (Yusuf Islam) at No. 49, James Taylor at No. 53, James Brown at No. 56 and "Jolene" cover artist Jack White at No. 59. She was one of just 13 women in the top 100. Read the full list from The Orlando Sentinel here. "When I Get Where I'm Going" by Dolly and Brad Paisley falls back off the top five recurrent country singles chart at Radio & Records magazine this week, it was announced Wednesday. The tune had been No. 5 the previous week on the list of the most-played songs at radio which have been removed from the main singles list due to chart rules. Dolly has snagged three nods in the European CMA Awards, the association has announced. She faces Lucie Diamond, Faith Hill, Rachael Warmick and Gretchen Wilson for Female Vocalist of the Year and her duet with Roy Rivers on "Thank God I'm A Country Boy" is up for Song of the Year against Faith Hill's "Mississippi Girl," Slow Horses' "I Can't Look At That," Liz Talley and Billy Yates' "It's Time To Cross That Bridge" and Todd Fritsch's "Small Town Radio" as well as Vocal Collaboration of the Year against Talley and Yates' song, Diamond and Arly Karlsen with "Always On My Mind," Tompall Glaser and Clint Miller with "Glory Train To Heaven" and Carly Goodwin and Willie Nelson on "Crazy." Dolly was also a preliminary nominee for Artist of the Year but didn't make the final five. Winners will be announced July 8 in Spain.